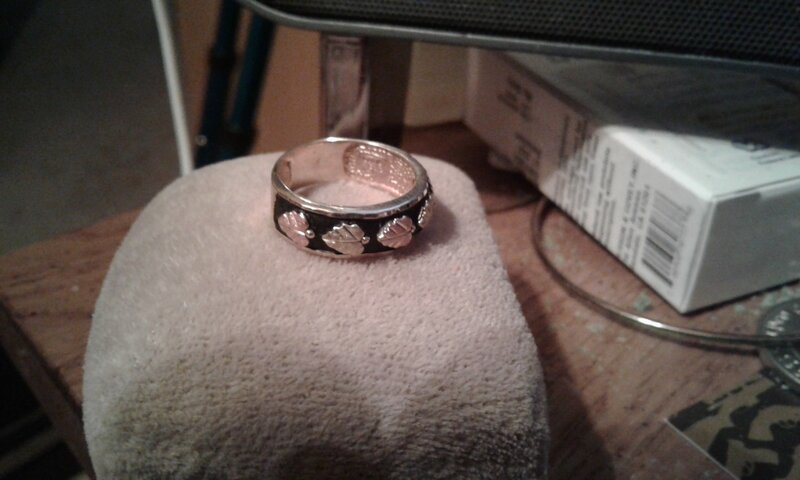 This is a nice gold band with 5 Black Hills Gold leafs across the top. It weighs 2.5 DWT and is a size 6 1/2. $75 delivered. Interests:Photography, videography, guns....lots of guns.. 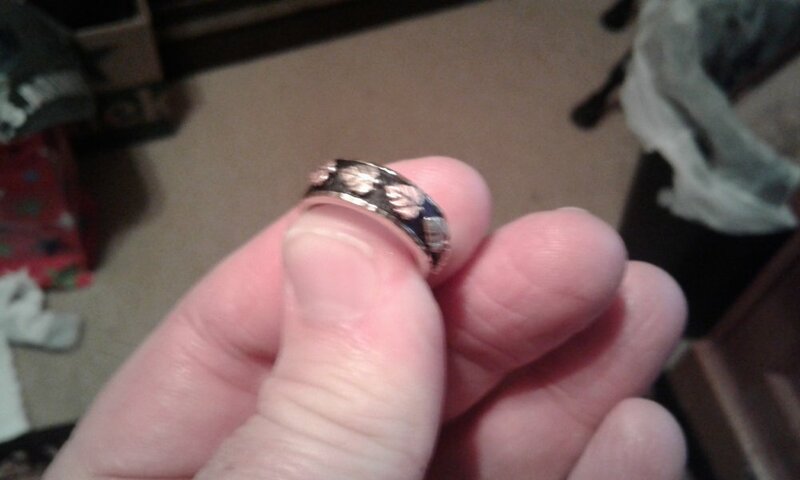 Does the wife know you're selling her ring to buy more toys?